XDA-developers has unleashed some pretty tantalizing things over the past couple of days. First up it was a permanent root solution for T-Mobile’s G2 and shortly after that, a permanent root became available for the G2’s sister HSPA+ device, the myTouch 4G. Well, they are at it again and this time they have released something even more spectacular. 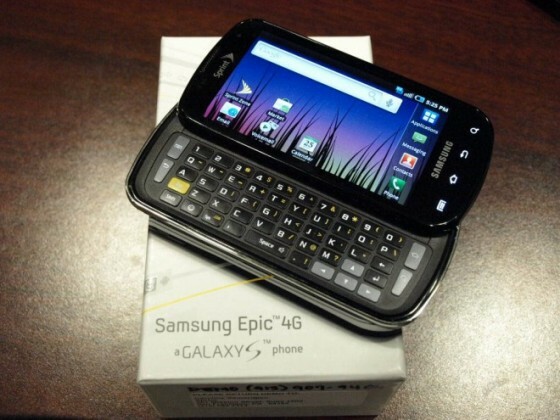 Froyo for Sprint’s Galaxy S device, the Samsung Epic 4G. For those of you with a little courage, you’ll need to root and follow some instructions, you can get Android 2.2 up and running on your Epic 4G right this minute. No need to wait for Samsung and Google to roll it out which by the way might not happen until the end of November or possibly even later. However, as with any leaked update, you do run a couple of risks including the possibility that your phone will end up bricked. The update is also said to have a number of bugs but if you feel like you can deal with that, jump right in. Hit the source link below to get the necessary file. And for those taking the plunge: good luck, tread carefully and most importantly, enjoy your scoop of Froyo at long last.